Join us at Pine Needle Dry Goods on April 24th for Voices from Bears Ears. A presentation in coordination with Maria’s Bookshop, starting at 6:30pm. Rebecca Robinson is a journalist. Stephen Strom, a photographer. The dynamic grandfather-granddaughter duo will present their process and read from their book, "Voices from Bears Ears: Seeking Common Ground on Sacred Land." We hope you'll join us for what promises to be an important and engaging dialogue about a place we all love. 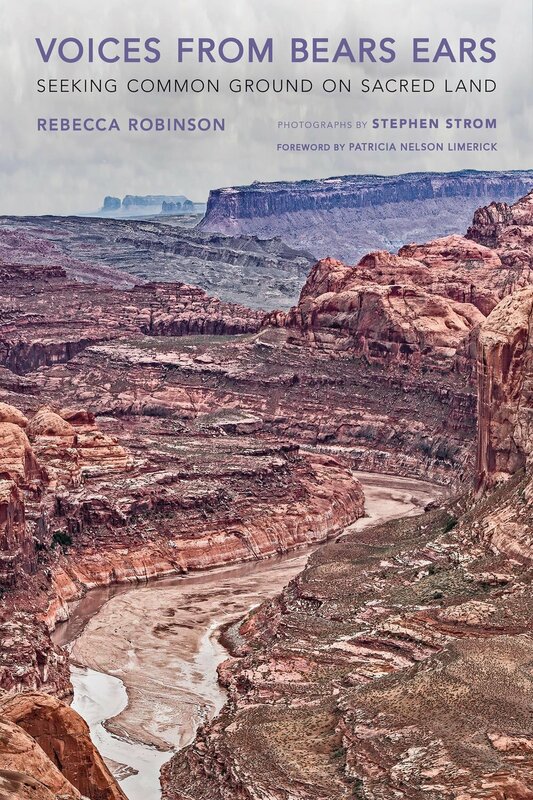 "Through the stories of 20 individuals, and informed by interviews with more than 70 people, Voices from Bears Ears captures the passions of those who fought to protect Bears Ears and those who opposed the monument as a federal “land grab” that threatened to rob them of their economic future. Journalist Rebecca Robinson provides context and perspective for understanding the ongoing debate and humanizes the abstract issues at the center of the debate. Interwoven with these stories are photographs of the interviewees and the land they consider sacred by photographer Stephen E. Strom. Through word and image, Robinson and Strom allow us to both hear and see the people whose lives are intertwined with this special place." Arbor Day Celebration - April 22-26 - Get a Seedling on Us!